As the second largest public sewer utility in Kentucky, Sanitation District #1 (SD1) deals with a lot of records. 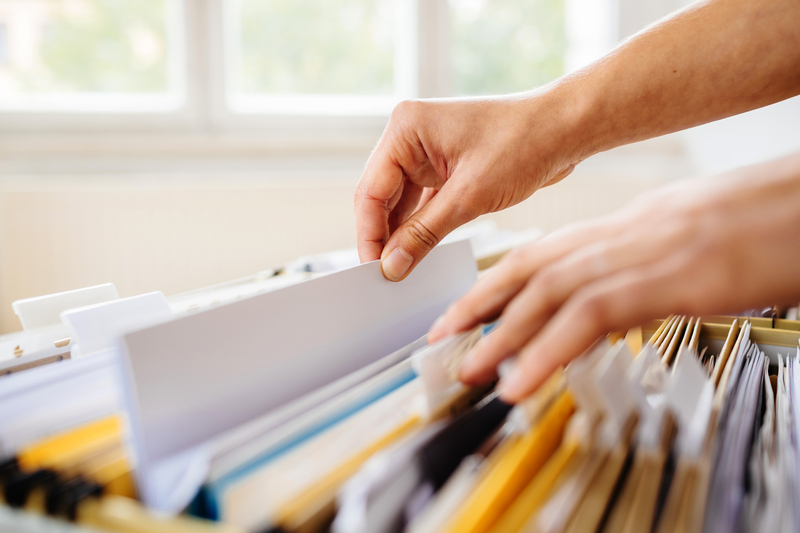 Laserfiche Records Management Edition helped SD1 streamline records management while maintaining compliance with the State of Kentucky’s Local Government Retention Schedule. Here is the five-step process SD1 followed in implementing transparent records management. Documents were difficult to find when needed (e.g. during an audit or for discovery in a lawsuit). Employees had to print and file their own documents and emails, and they didn’t always remember to do it. It was difficult to follow the State of Kentucky’s Local Government Retention Schedule, so files were kept much longer than necessary, taking up a lot of space. Scan as many existing paper records as possible into Laserfiche. Automatically apply the appropriate retention schedule to all records. Make sure that SD1 is always in compliance with the State of Kentucky’s Local Government Retention Schedule. The first step in making a plan is enlisting the help of a champion. For many employees, the champion will be a direct supervisor. The champion can help obtain executive-level support for the project. In SD1’s case, the project champion was SD1’s general counsel. Make sure to partner with the right people both inside and outside your organization, especially with the information technology (IT) department. It is crucial for the IT, legal and records departments to have a good relationship. Once you’ve enlisted support from other members in the organization, it is time to outline, determine and finalize the retention schedule. To simplify this process, I recommend using the big bucketing approach. Big bucketing consolidates record types related to the same business function or process with similar requirements into bigger retention “buckets” or records series. Big bucketing gives employees fewer retention choices, helping them classify information more consistently, and ensures compliance. It also reduces risks associated with keeping records too long and maintaining and responding to records requests and e-discovery. SD1 used big bucketing to revise the HR portion of the retention schedule by scaling down from a total of 25 retention periods to ten retention periods. For example, SD1 used to have 3, 5 and 7-year retention for tax documents but combined all documents into one record series using the maximum 7-year retention. Before implementing the retention schedule, learn the business processes. Even if your reseller will end up writing your organization’s workflows, someone will still need to explain your business processes to your reseller. 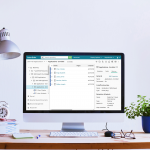 Before creating the retention schedule within Laserfiche, review it again to make sure it complies with the organization’s policies and any governing agencies polices and retention schedules. It is much easier to change the schedule before implementation than after. Design the workflows that will manage the transparent records management part of the process. Laserfiche is very user friendly, but don’t be afraid to ask your reseller for help. Details of how SD1 set up transparent records management are included in the “Kentucky Sanitation District #1’s Transparent Records Management Implementation” Solution Exchange article. After transparent records management has been implemented, make sure to organize all of the organization’s content within the brand new framework. Do not get discouraged. Train employees on how to use Laserfiche. Laserfiche offers online training as well as in-person regional training. SD1 even chose to pay its reseller to provide on-site training for new Laserfiche users. Choose a liaison and have that person be the middle man for the staff. At SD1, the departmental records coordinators (typically an administrative assistant) are our Laserfiche liaisons. After the liaisons are trained on the policies and procedures by the Laserfiche Administrator, they are then responsible for training everyone else in their respective departments and to act as the first point of contact for user questions. Learn how to automate records management in your organization by downloading the free, complete guide to records management.